you can easily find all your important things. It's the small, powerful companion for life's little valuables. The App will show the real-time positioning connected with your phone also automatically record the last location of your lost item discounted with your phone on the map! So, if you left it somewhere, you know where to look first. If you use iPhone or ipad, please search Upartner, download and install from APP store. If you use the Android phone, please search Upartner, download and install from Google play store. 1, Activate Bluetooth of your smartphone and open APP. 3, You will find the Upartner on App, select it, connect with your mobile and the device will be established. The solution of TI (U.S. Imported Chip) and bluetooth 4.0 technology, low energy, with CR2032 button battery, easy to replace, standby time more than 10 months. Compatible with iOS 7.0 system and Android 4.3 or higher system (bluetooth 4.0). 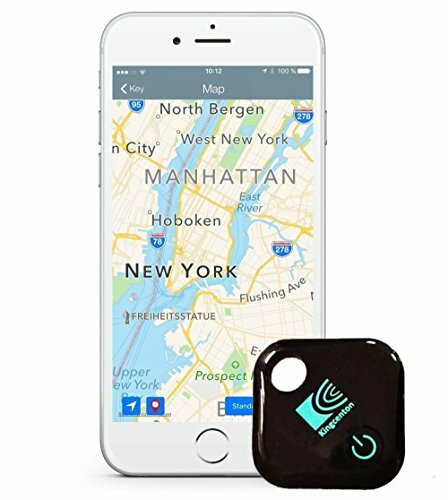 ♥【All Make Your Life Simple & Convenient】: Kingcenton (Gen 2) Bluetooth Tracker and easy-to-use App [Premium manage 10 Kingcenton trackers] that finds your important things, like keys, cars hidden and anything you don't want to lose - in seconds. ♥【Ring Your Things】: Use your smartphone to make your Kingcenton Trackers ring when it's nearby. But out of sight, if your Kingcenton Tracking is within Bluetooth range, it will play a loud tune until you find it. ♥【Record Last Location】: Up to 50 meters, the App will show the real-time positioning connected with your phone also record the last location of your lost item discounted with your phone on the map! ♥【What You Get】: Kingcenton Bluetooth GPS Tracker (Gen 2), CR2032 220mA Button Battery Included, our fan-favorite hassle-free 18-month warranty and friendly customer service.